Genomics is a proven and reliable quantitative tool that has dramatically improved cancer treatment, established the practice of personalized medicine, and brought binary clarity to paternity and criminal cases. Genomics is now transforming how civil toxic tort cases are adjudicated. We have hit a tipping point where, instead of merely relying on population-based epidemiological studies, we are augmenting with personalized information about an individual to displace qualitative theories with binary facts. 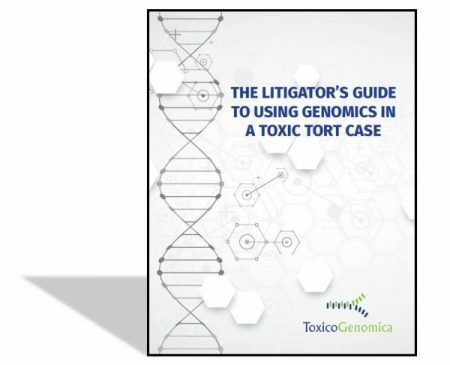 Compiled by the experts at ToxicoGenomica, this white paper provides an introduction to genomic concepts as well as detailed descriptions of four legal cases that illustrate the use of genomics in toxic tort litigation.